Can I manage the permissions of the users in my team? Yes, you can define what every user of your team might or might not see in LSP.expert. If you manage a team (whether you're a freelancer translator working with colleagues or a translation agency), you might want to restrict what certain users see of LSP.expert. 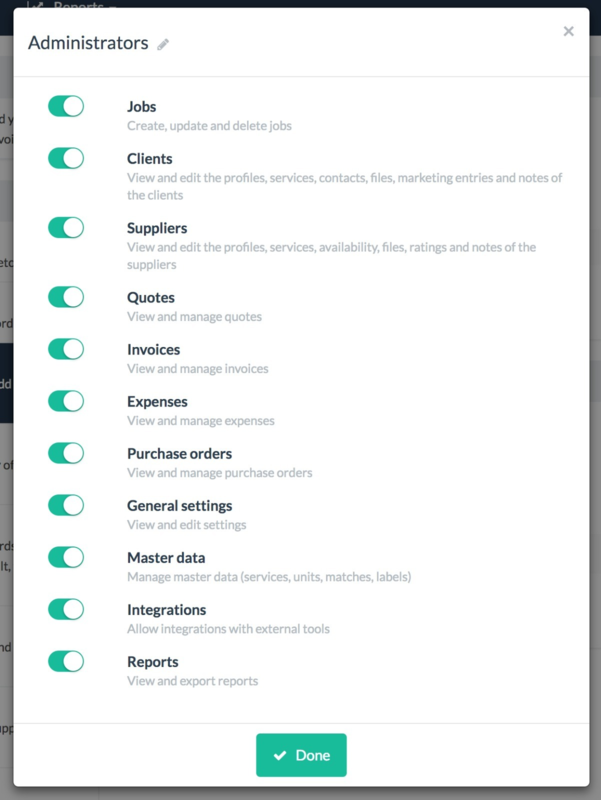 For example, internal translators might not be allowed to see the "Invoices" part of LSP.expert, or an accountant might not be allowed to see the "Suppliers" part, etc. 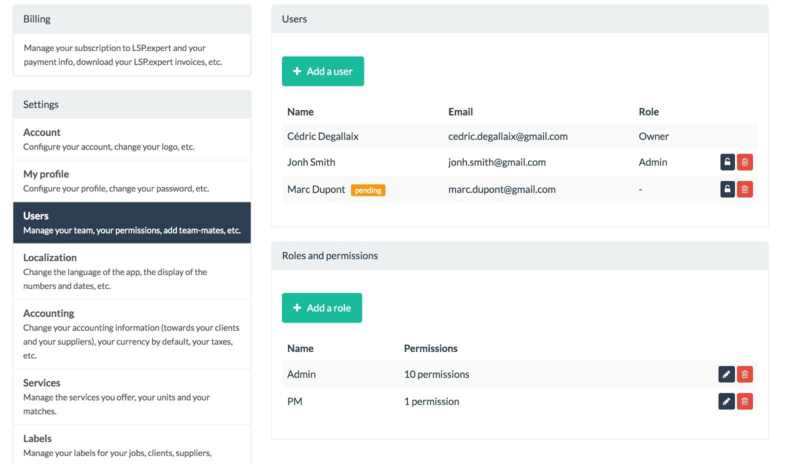 You can manage the permissions of all the users in your team under Settings > Users. The first thing you have to do is define the different roles you would like to have in your team. Project Manager, accountant, internal translator, administrative employee, trainee... You can define all the roles you want. 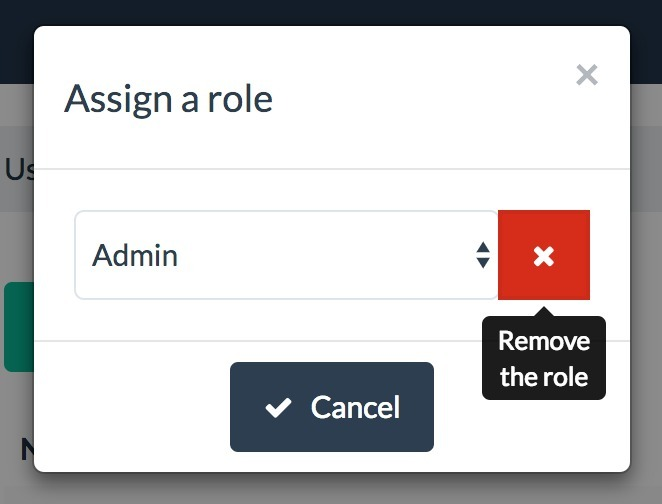 To create a new role, click on 'Add a role'. For each role you create, you have to select what the user might and might not see/do in LSP.expert. The owner of the LSP.expert account automatically receives the Administrator role, which has all the permissions by default. When you add a new user to your team, this person only receives by default the right to see the jobs in LSP.expert (but not the right to create new jobs, to edit existing jobs and to delete jobs). When you created all your roles, you can start assigning them to the users. To assign a role to a user, click on the little padlock next to the user's name. Select the role you want to assign to the user in the dropdown menu. If you would like to "unassign" a role for a user, click on the red cross.